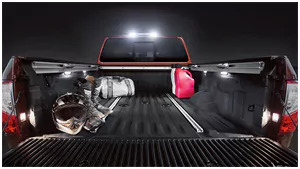 The Nissan Titan makes it easier to get the most out of your bed. 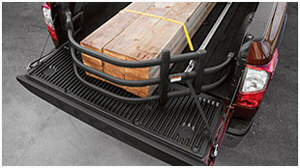 The Sliding Bed Extender gives you maximum versatility with minimum effort. 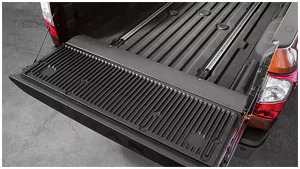 It is fully adjustable at any location along the Utili-Track® Channel System and locks into place over the open tailgate or slides against the cab. 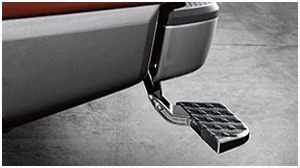 The Rear Bumper Step Assist makes it easier to get out of the trunk bed and hides beneath the Titan's rear bumper when not in use. 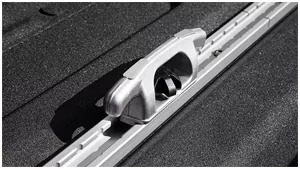 Its easy, bolt-on installation makes using it a breeze. 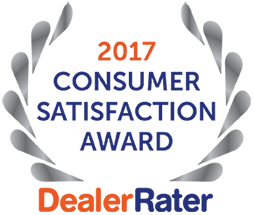 No matter what the temperature, available technology helps make sure you always get into a comfortable cabin. 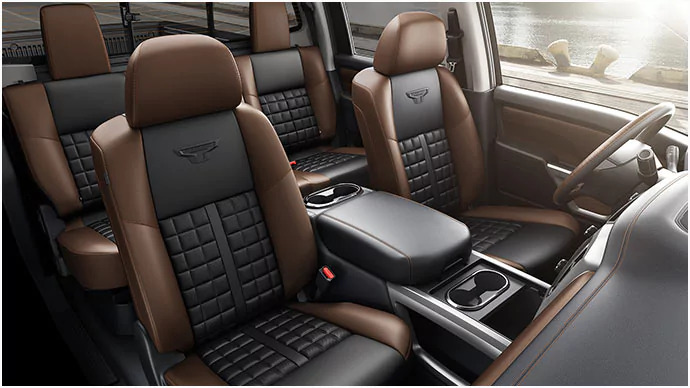 On hot days, the Remote Engine Start System with Intelligent Climate Control can adjust temperature and airflow for a quick cool down. 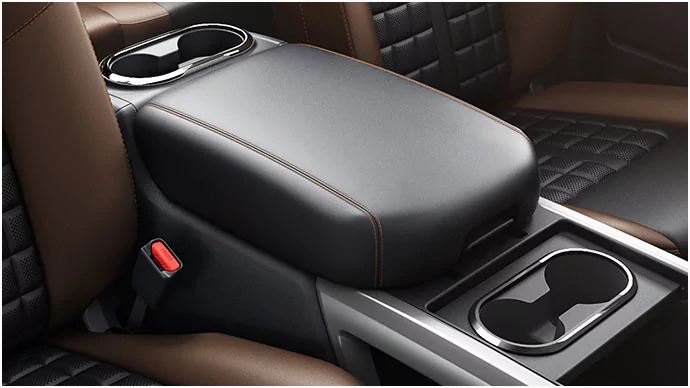 The extra wide, cleanly designed center console provides a huge amount of storage space, perfect for carrying a small laptop, as well as a plush spot to rest your arm. No more digging for keys. 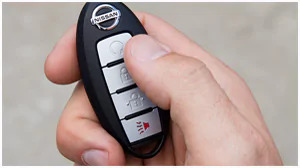 With the standard Push Button Start, and the Nissan Intelligent Key® in your pocket, just get in, push the button, and go. A great help in poor weather, or when your hands are full.